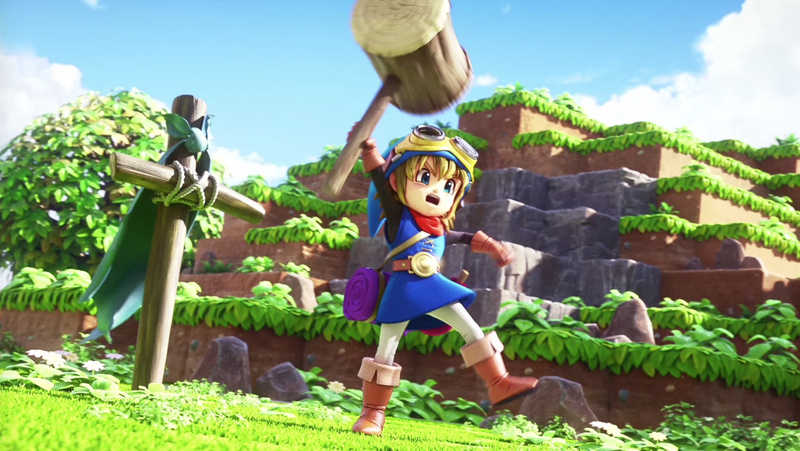 Today's Nintendo Direct was packed with cool announcements, one of which is the news that Dragon Quest Builders is coming to the Nintendo Switch next year. Square Enix's game has already been a hit in its native Japan on PlayStation 4, and fuses together Minecraft-style construction with Dragon Quest RPG action. The Nintendo Switch version will allow players to ride a Great Sabrecub in the game’s free build mode, which is a neat exclusive; the Sabrecub boosts your speed and rewards you with special materials when defeating enemies. The game launches in spring 2018. I've heard good things about this game and its sequel. I want try this, aside from supporting third-parties on Switch. Nintendo is doing a lot wrong with the Switch, but it seems like they're doing more right. Also, @rjejr might be happy to know there is an Odyssey bundle coming stateside on October 27th. Ohhhhh.... they announced the original game! I thought they were showing DQ Builders 2, which was already announced. 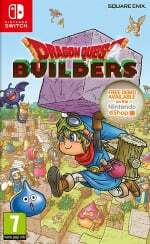 Ok, so both DQ Builders games will be on Switch. Man, you're killing it Nintendo. You've already given us a full plate just from first party releases alone- keep adding in great third-party titles on top of it and holy cow...Keep em comin! Ah it is the original thats cool. I don't know if I want to replay anytime soon, but I will prolly pick up sooner or later. Sweet! I know we are getting 2 so it is great to know we are getting the first one as well. Time to offload my Ps4 copy! Anybody who hasn't played this game is in for a great surprise, it's absolutely fantastic. This was a nice announcement that it's coming West. I remember watching Japanese footage and it didn't look like it would be difficult to translate. It's not text heavy like the main games. So there were 3 positives in the Direct, this and the Bethesda announcement of Doom and Wolfenstein II. I already have it for PS4, but I'll gladly double dip for this one, as well as DOOM. if they price it well i'll buy it. I was hoping for a Switch version as it seemed better as a portable game. This is probably the highlight for me in what was a pretty underwhelming Nintendo Direct. I will play and enjoy this but it's going to be a serious time sink for my partner. Going to have to pry my switch away from her. Glad to see the first game is coming to Switch! Sorry, Vita. And I was that close to buying this game there several times. I got this on the PS4 and it just didn't click for me. Sold it on eBay after 2 weeks, but I'm glad it's coming over to the Switch. This was my Game of the Year for 2016. It's really really freaking cool. It's got everything I find enjoyable about Minecraft-like games, but with an honest-to-goodness Dragon Quest RPG thrown on top. If you missed out before, this should be on your radar. Welp! We can finally say the Nintendo Switch now has both instalments of Dragon Quest Builders since the sequel was confirmed for the console earlier. @IronMan28 rjejr (oops talking in 3rd person again, gotta stop that) was extremely excited for the SMO bundle. Throw my hands in the air like my team just won the (insert sports championship of your choice here) . Couldn't wait. And then reality creeps in. $380 for a digital download on a 32GB system. W/ tax that's ~$405 for me. I do want the game, day 1, and I need a Switch to play it on obvs, but I'd rather have a $300 Switch and the game on cart for $48 at Amazon after my Prime discount. So now I don't know. I do still have my original Xbox 1 to trade in, should be good for $100 or so, but still, $405 for a Switch, that's a big credit card bill. Nintnedo wont' let me be happy for more than 5 minutes, that's the limit. Oh, I was expecting $349 for the console and the game, not $300, so $30 isn't much, but it's still $30 more than it should be. It's like Ntinedo is scalping it's own consoles like Walmart - if you want a Switch you also have to buy this pouch for $20. Make it $360, throw the pouch in for free, don't make us have to pay full MSRP for everything in the bundle. Sorry, still digesting. I want it, gotta work some angles w/ the missus. argh, wrong thread, should throw in something on topic. This game looks interesting. Bought DQ Heroes on BF for $10 on PS4. This game has been on sale this week for $30 on PS4, so I was thinking Id' wait until it's $10 this BF. Glad it's coming to Switch, even more glad the sequel is coming to Switch, maybe same time and price this time. But the 3rd party support is going strong with this one. AS opposed to Wii U. @HopeNForever See that's the great news people are kind of forgetting over this amazing bit of news. You get this one now, then get the sequel later when it's finished for everyone. It's a win win as you're not skipping but starting out on the original. I've never been huge on minecraft as it's too empty and open for my tastes so I get bored, but those elements in a focused DQ environment and I'm all over trying that out. That Sabrecub will most likely be their reasoning behind charging $60 for this when it'll be $20 on other systems. @RedMageLanakyn did it launch for 20 on other systems? Cool but I just want Dragon Quest XI for Switch.